Alliancence for Community Trees has honored the chairwoman of Grand Rapids’Urban Forestry Committee as its 2012 Volunteer of the Year. Dotti Clune will be rewarded for her efforts with a trip to this month’s ACTrees Policy Summit in Washington, D.C.
Clune was chosen for the honor among finalists from cities including San Francisco, Houston, Seattle, Wash. and Portland, Ore. The ACTrees award “highlights inspirational volunteers in action who have made a contribution to urban forestry by improving community trees and the neighborhoods where they live,” according to a news release from the organization in College Park, Md. 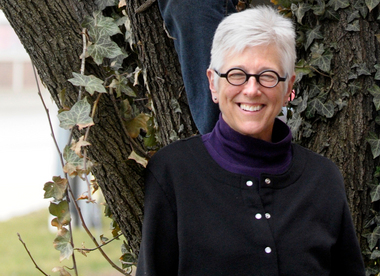 Among Clune’s work that warranted a nomination from Friends of Grand Rapids Parks: She helped develop the city’s urban forest plan and set a 40-percent tree canopy goal, started tree mapping in the city’s East Hills neighborhood and pushed Grand Rapids to treat trees infected by the emerald ash borer.